The First Resident at No. 1 Royal Crescent, Bath. Where is the portrait of Henry Sandford? Henry Sandford (1719-1796) MP of Castlerea, County Roscommon lived at No1 Royal Crescent, Bath from 1776 until his death in 1796. There must have been a portrait of him. 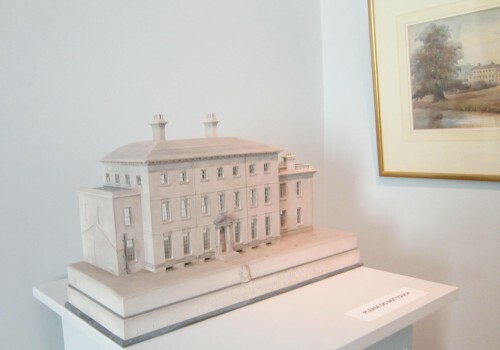 His great grandfather Theophilus had a portrait painted, so did his son who became Lord Henry Moore Mount Sandford in 1801. So can anyone help us track down a portrait of Henry? Great Grandson of Theophilus Sandford who obtained lands at Castlerea, County Roscommon, for services to the Parliamentary Army. Through his land holdings Henry became an MP in the Irish parliament. In 1776 he took a lease on No.1 Royal Crescent and seems to have spent much of his time in Bath. 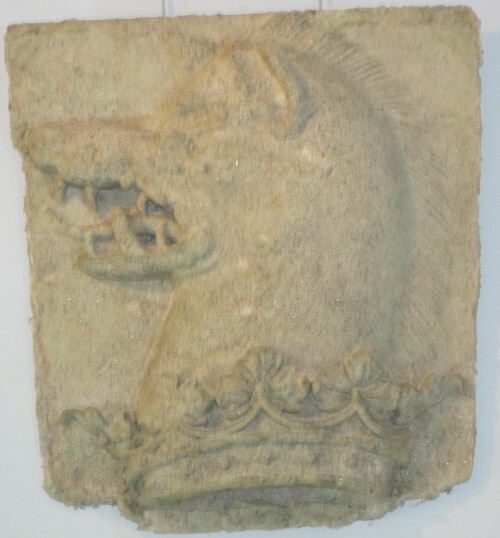 The Museum of Georgian Bath at No.1 Royal Crescent researched the life of their first resident, intending to feature him in their display of artifacts of Eighteenth Century life in Bath. Several years ago their researcher tracked down Tom Wills-Sandford, a descendant. Below I describe the circumstances through my link with Tom by which I became aware of the museum. 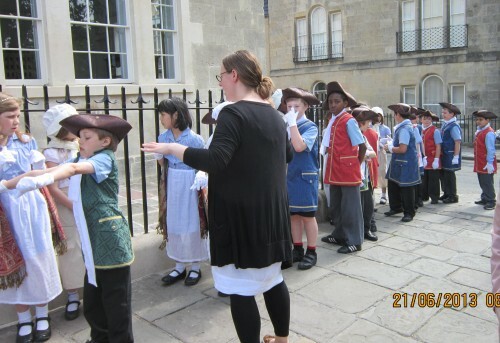 The museum underwent a major development in 2012/13 and on 21 June 2013 it formally reopened to the public. 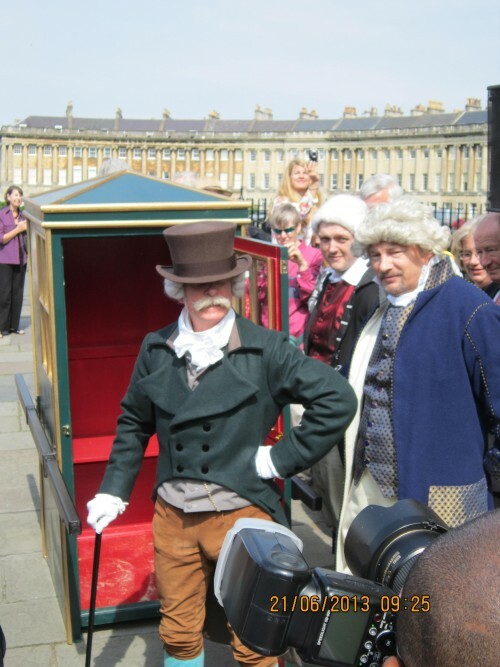 Henry Sandford, played by David Symington, a member of the Sealed Knot Civil war Re-enactment Society, duly arrived carried in a sedan chair. He greeted the actress playing his daughter-in-law Catherine, and said he had just returned from his estates at Castlerea and he was was surprised at the crowd who had gathered. 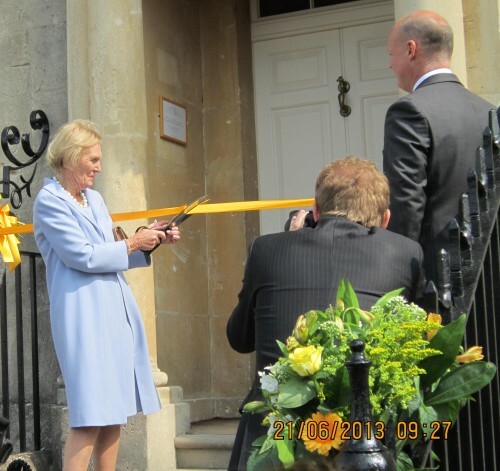 TV celebrity cook, Mary Berry, cut the yellow ribbon. 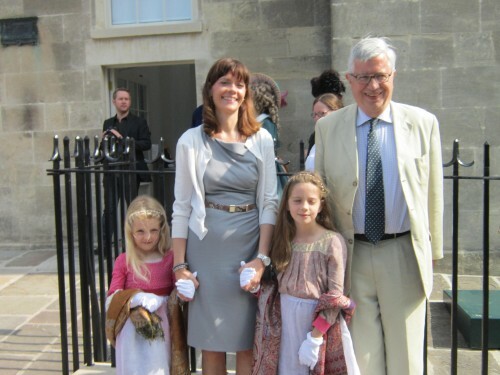 Henry Sandford ascended the front steps, inviting his descendants (Tom, his daughter and two grand daughters - see picture below) to follow into his home. The Bath dignitaries and the Trustees of the Bath Preservation Trust followed them in, together with my son Geoffrey and myself - a first cousin 6 times removed to Henry Sandford. and his life at No.1 Royal Crescent? In 2010 I found this portrait of Henry Moore Sandford for sale at a nearby auction house. This is the Henry Moore Sandford of Castlerea who was made 1st Baron Lord Mount Sandford, when the Irish Parliament was abolished in 1800. The picture was painted in Bath in 1785, when his father, also a Henry Sandford, was living at No 1 in the newly constructed Royal Crescent. This discovery lead me to make contact with my distant cousin Tom Wills-Sandford. Tom knew the picture of Henry Moore Sandford which had been part of his family's collection. 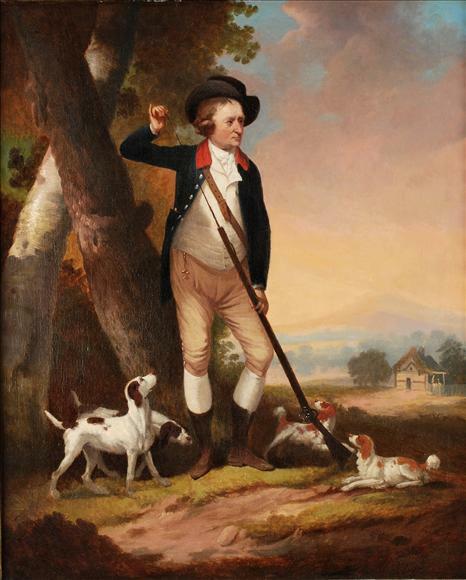 Although the auction was only 3 days away and Tom was away on a visit to China, arrangements were made to bid for the painting and it was secured for the family. 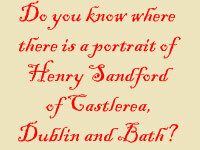 It had been a serendipitous discovery: I had been searching for information about Sandfords at Castlerea because I was planning to visit Castlerea in September 2010 during a tour of all the places in Ireland where my family had lived after Theophilus Sandford arrived with Cromwell's army in January 1650. During this tour of Ireland I spent 3 days in the National Library in Dublin. In preparation for my trip I had searched the NLI index for Sandford and had 41 references. Nine of these I had marked for examination as potentially containing family information. One index entry just said “common place book of R Sandford c1780” I thought it worth looking at as it might contain clues about my family. It was exciting to open the manuscript book which had probably been little studied since the NLI had acquired it in the collection of Dr FS Bourke who had died in 1959. 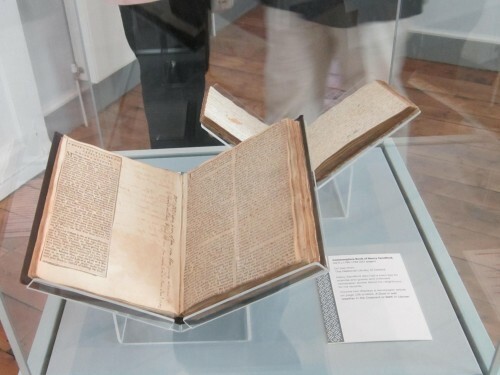 Bourke had been a great collector of letters and manuscripts. 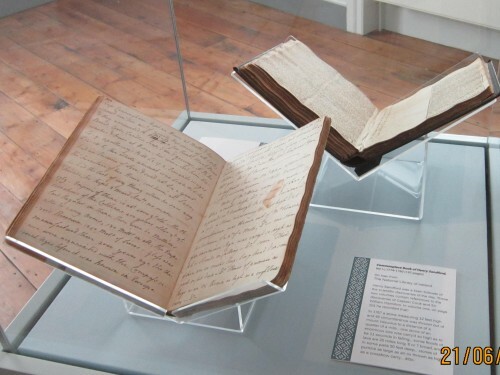 The manuscript was obviously written by a Castlerea Sandford living in Bath, but it was not by the Robert Sandford had who died in 1777 while the common place book was still being written. Eventually I deduced that Robert's son Henry was the author. He quoted a court case involving his father. In fact this mention of R Sandford is the only Sandford named in the book, so that is why the NLI indexer guessed Robert was the author. I quickly looked through the whole book for references to my branch of Sandfords in Tuam. Alas there was nothing. However, I realised how interesting it would be to Tom, 5 greats grandson of Henry, and quickly reported the discovery to him. Tom said he would arrange to get it photocopied, and so I concentrated my searches elsewhere in the archives. I did make an analysis of the topics listed in the book's index. They covered many aspects of knowledge with agriculture and foreign people/customs being the most frequent. 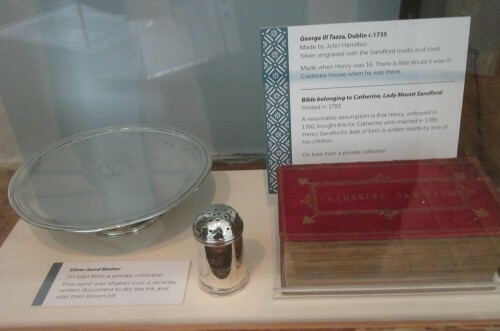 Henry must have used his record of facts about the world as an aide memoir, and doubtless he impressed at his Bath dining table and in conversations when socialising in Georgian Bath. Numerical Analysis of Topics mentioned in the Index - M. Sandford 19 Jan 2011. From the relative numbers of entries on farming and farm animals (95) versus Guns and military (3) it seems probable that the author's interests are more consistent with Henry Sandford (presumably responsible for the estates at Castlerea) than his brother General Robert Sandford a military man and Governor of Galway. - M. Sandford 19 Jan 2011. We also wish that the other volume could be found. Having looked at the web link again I just noticed that the National Library of Ireland has another Commonplace book listed as: ‘A commonplace book by an unidentified compiler living in or near Bath c. 1780’. It has a different reference number, Ms. 2191 so is clearly a different item. Probably not connected as it does not appear to be listed as being from the Bourke Collection, but I did wonder if there was a slight chance, as it is the same date. If it is Vol II perhaps it just carries on where the first left off so author is not identified. You did not look at this by any chance? If not I will just email the NLI to ask if they could check it and compare to the other volume. It would be easy to tell from the hand writing. I don’t think we should get too excited yet! This indeed turned out to be the continuation volume. What is more several passages were signed HS, confirming Henry as the author. Volume 2 starts in a rather similar character to volume 1, But then new types of entry start to appear. It becomes rather more like a scrap book - news paper cuttings are pasted in as seen in the picture on the right. Some of these deal with personalities and scandals in Bath. There are also lines of verse, some mock bath personalities. I do encourage readers visiting Bath to include this museum on their itinerary. There is convenient long term parking in the large Charlotte Street Car Park 200m down the hill below the Royal Crescent. If you can not visit, then be sure to explore the excellent No1 Royal Crescent website. While you there don't miss their 6 minute long introductory video and also the most interesting 20 minute video of the renovation project to re-link No.1 with its servants' quarters No.1a. Staff at the Manuscript Reading room National Library of Ireland for assistance during my visit in September 2010. 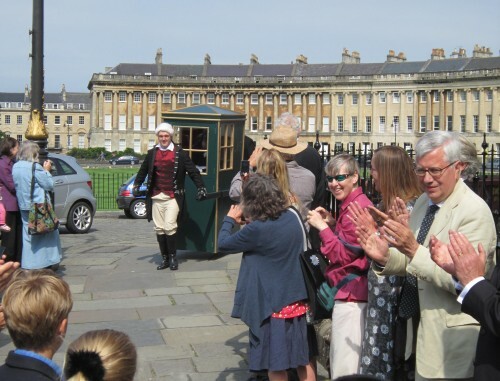 Staff and guides at No1 Royal Crescent Museum and the Bath Preservation Trust, in particular Victoria Barwell, Louisa Hall, and Tom Boden. Do you want read another long family history page? Have a look my account of Dr. Samuel Johnson's Armchair. ©Michael C W Sandford, 2013. Page first uploaded to sandfordfamily.org.uk 23 June 2013.